Acclaimed author Aritha van Herk outlines her recommendations for reading this summer. The University of Calgary English professor was on the Calgary Eyeopener on Monday morning as part of summer series What Writers Read. Acclaimed author Aritha van Herk outlines her recommendations for reading this summer. The University of Calgary English professor was on the Calgary Eyeopener on Monday morning as part of the show’s summer series "What Writers Read." Van Herk’s book pick is Julian Barnes’ Levels of Life. The Calgary writer says Barnes exploration of ideas is wonderful. The book features great movement from air ballooning and photography to personal life, she says. "He’s written a very strange book, which is a memoir about the death of his wife and how much he misses her," says van Herk. "One would think it would be absolutely miserable because, of course, we see 'misery memoirs' all the time — stories of people who have suffered incalculable griefs and horrors but, in fact, I very seldom read a book that handles that with such beauty and finesse." "Summer is a great time to think," says van Herk. The Calgarian decided on Harper's Magazine because of the way the American magazine brings together ideas. "I’m one of those people who is kind of a magazine junkie. I subscribe to far too many. They pile up in my study and beside my bed and all year, of course, I’m reading Canadian literature and loving it, and in the summer I go back and I catch up on my magazines which are primarily the ones I get behind on, The New Yorker and Harper’s Magazine," says van Herk. "What really makes it fascinating is its eclecticism. It has articles on everything from fake scams for selling glacier water to the history of magic mushrooms to incredible — the last issue, had an incredible forum on sleep, everything from insomnia to bedwetting." 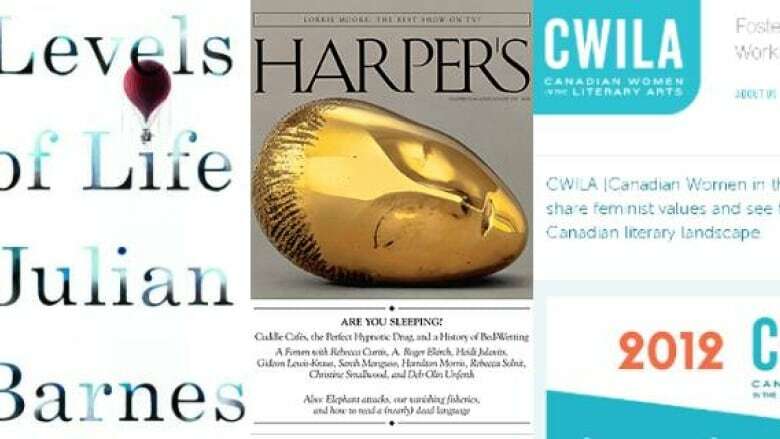 Van Herk chose CWILA.com, Canadian Women in the Literary Arts, as her online pick. "There are so many rich resources, it’s very hard to settle on one [website]," she says. "CWILA is a new blog/website that is looking at the representation of Canadian women in different magazines, in different newspapers and how women are represented," says van Herk. "I’ve always been interested in the way that women are read and the way that women read and the way that women get talked about — or not. So this is one that I have followed with great interest." Next week The Eyeopener’s "What Writers Read" series takes a break for Heritage Day. On Monday, Aug. 12 Chris Turner will share his favourite picks. The series runs Mondays at 7:40 a.m. MT this summer.